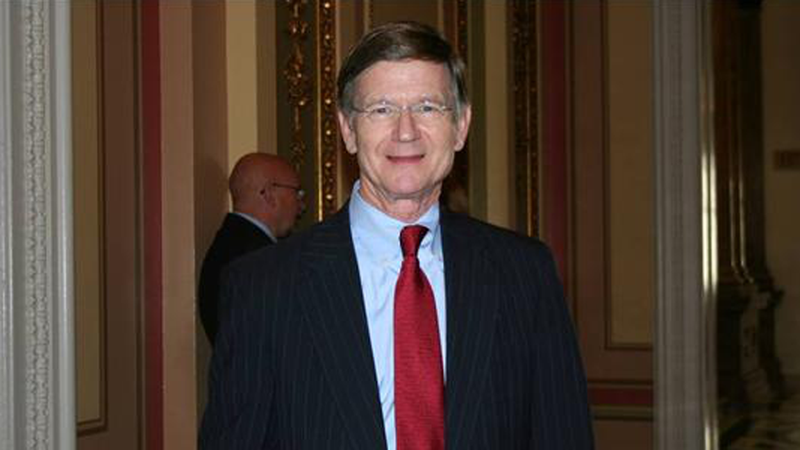 SOPA is dead, but its author, Lamar Smith, is still very much alive. In fact, he's just been named the head of Congress' Science, Space, and Technology Committee. That's very bad. Why should you be worried? First of all, Smith is now the boss of a committee that's in charge of crafting our nation's science and technology policy. Second, the 27-year Congress veteran is arguably anti-science, and has consistently expressed skepticism of global warming. Not good, considering NASA, the EPA, the National Science Foundation, the National Institute of Standards and Technology, the NOAA, the Department of Energy, and the FAA will all be under his jurisdiction when he assumes the position in 2013. His track record when it comes to environmental policy is perhaps the most problematic. He's voted no on a lot of really important things—EPA regulation of greenhouse gasses, tax credits for renewable energy, conservation incentives, and he shot down the adoption of the Kyoto Protocol. Similarly, his predecessor, Rep. Ralph Hall (R-TX), is a global warming doubter, and recently Smith has recently made some of the same scary statements denying climate change that Hall has in the past. That Smith could craft some really awful policy in the job is not an unfounded fear. As head of the House Judiciary Committee (a post he's leaving), he proposed SOPA, a blight we're all glad never passed. But even though it's gone, Smith is not exactly a friend to technology, voting to kill federal funding for NPR, nixing net neutrality, voting in favor of pardoning tech companies for surveillance without a warrant, okayed upping the fines for indecency on TV, and said nay to online gambling with a credit card. That's the voting record of someone who has a very puritanical, outdated view of our digital lives.